Luxor's glass dry-erase boards are the perfect solution for collaborative work environments that require durability while presenting a modern appearance. 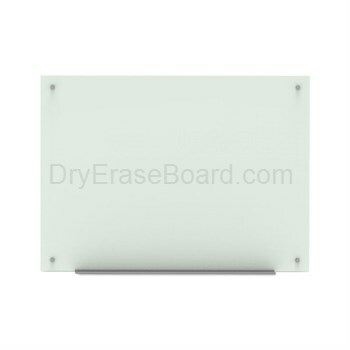 These frameless glass boards allow wet/dry-erase markers to glide effortlessly across the surface while their magnetic quality permits papers to be hung directly on the board. Made of sturdy tempered glass, the surface resists stains and ghosting while a marker tray and stainless steel mounting pucks present a contemporary look that's ideal for any office, conference room, training center, or classroom. Luxor's Wall-Mounted Glass Magnetic Marker Boards are easy to install and are packaged with supportive materials that are highly resistant to damage during shipping.